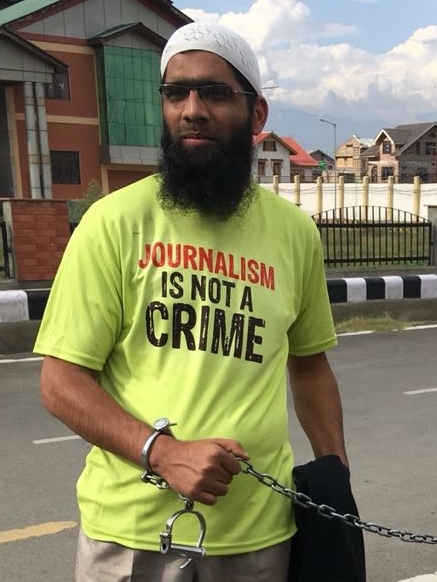 New York: The Committee to Protect Journalists has called upon the Jammu and Kashmir police to immediately cease all legal proceedings against journalist Aasif Sultan and release him from jail after local news outlets reported that formal charges were filed against him on Thursday. Sultan, along with nine other individuals, has been charged with harbouring and giving support to a militant organization and for hatching a criminal conspiracy under India’s Unlawful Activities Prevention Act. Sultan has been jailed since August 27, 2018, after he wrote a story for the Kashmir Narratormagazine on Kashmiri militant leader Burhan Wani, as CPJ reported at the time, the statement said. In January, CPJ called on Jammu and Kashmir Governor Satya Pal Malik to ensure that the journalist is released.